You can spend a small fortune on just one acne supplement. Some products cost as much as $99.99 a month. But understanding how supplement makers market their wares can help you recognize both rip offs and bargains. Zinc is one of the supplements that can be used to help treat acne. Most of the time, an “acne supplement” is a rip off. Any product that contains more than three ingredients has probably been formulated to defeat claims of patent infringement, rather than to help clear your skin. Three acne supplements really do help your skin, zinc, probiotics1, and vitamin B5, but you don’t need to take all three. Don’t pay more than $19.99 for a month’s supply of any supplement. For fastest and longest lasting results in fighting acne, spend your money on an acne treatment system like Exposed Skin Care. There are actually some supplement makers who are in the business of providing nutritional supplements and herbs just because they believe they are the missing link in healthcare. Ethical Formulas, for example, really is ethical. The Life Extension Institute, really does care about providing high-quality supplements that can help you live longer and live better. The creepy infomercial gurus, however, really don’t care about whether you get better or not, as long as your credit care information works. Let’s look at a not-so-hypothetical acne supplement for which you might be asked to pay as much as $99.99 a month. The formulator at Get Rich Fast, Inc., knows that vitamin B52 (which is also known as pantothenic acid) really can sometimes help the growth of skin. Those times are when skin cells are cultured in test tubes, but the company can say that that it helps heal acne because adding B5 to cultures of skin cells increased the rate at which they released collagen, and collagen helps support healing of skin underneath acne scars. Whether B5 really helps support healing of acne scars there’s no way of knowing, but your company lawyers (if you are in the USA) would tell your spokesman that he has a First Amendment Right to express an opinion that it does. But potential customers can get their daily recommended intake of supplemental vitamin B5 for just $3 a month, and there is not a lot of profit in that. So the next thing the formulator does is to start adding other ingredients. Everybody knows vitamin C is vital, and it’s even cheaper than vitamin B5, so add dose of that. People more or less know that dandelion greens are good for you, so add a tiny amount of dried dandelions. You can even say, truthfully, that a pound of dandelion greens contains more calcium than a pound of cheese. Of course, because you are only putting 50 milligrams of dried dandelion greens in a capsule, the herb would have be 2000% calcium to provide the daily requirements of calcium, but you are counting on customers not paying attention to that fact. Then formulators need to protect their bosses from all the get-rich-quick companies out there that could claim they really had invented their formulas. To protect your company from claims of patent infringement3, you add teeny, tiny bits of dozens of herbs to a formula without disclosing the exact amounts. That way, no matter what some other company claims about your formula in court, you can show that you are really making a different product. There are supplement makers who make more money suing their competitors than they earn from the sales of their products. Next you recruit a TV producer who can help your company spokesman develop a compelling story for your product. One famous late-night commercial featured a spokesman sporting a mullet (he’s actually bald, it’s a toupee), telling an interviewer about the beauty of his four-year-old daughter’s bowel movements. Exactly what type of viewer keeps listening to that story is hard to imagine, but it is apparently also the kind that will spend $39.99 or $59.99 or $99.99 a month on supplements without knowing what they are for or how they work4. Then you get the caller’s credit card number and keep shipping your supplement—which costs you $1 a bottle to make, including the bottle—until the credit card number does not work any more. Does it sound like there are potential pitfalls in choosing the right acne supplement? There are! However, even though some supplements are total rip offs, there really are some supplements that work for most cases of acne. Zinc helps the body make enzymes that put the breaks on acne inflammation5. And although it is rare for anyone to suffer a vitamin deficiency, certain minerals like zinc sometimes are deficient in modern diets. The solution to zinc deficiency is simple. Take a zinc supplement. Zinc gluconate and zinc monomethionine are better absorbed from the digestive tract (and more expensive as supplements), but your body can absorb the zinc in much less expensive forms of zinc such as zinc acetate and zinc carbonate. Copper does interfere with the absorption of zinc, and vice versa. But since you are much more likely to suffer a copper deficiency than you are to suffer a zinc deficiency (copper deficiencies don’t make skin problems worse), it actually is a good idea to take a supplement that provides both zinc and copper. 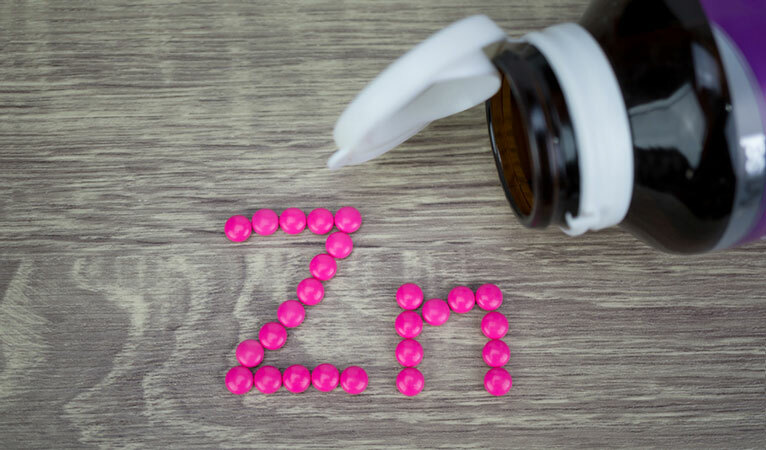 Don’t take more than 50 mg of zinc per day6—taking more can deplete zinc and cause a different set of health problems. You should not pay more than $5 a month for any zinc supplement. For about a century, the recommended treatment for acne was baker’s yeast7. Grey, slimy, crumbly squares of baker’s yeast were eaten whole by millions of acne sufferers to reduce acne inflammation—and they worked. Nowadays most people would prefer to consume the healthy, probiotic bacteria8 found in yogurt and probiotic supplements. They work by training the immune system to respond to bacterial infection (the probiotic bacteria in your digestive tract form a harmless infection) with less force. Acne bacteria then trigger less inflammation in your skin. You can get all the probiotics you need by eating small servings of yogurt several times a day, provided the yogurt contains live cultures. Or if you don’t eat yogurt, you can take capsules of probiotic bacteria 2 or 3 times a day. But you should not pay more than $20 a month for either product. Antioxidants are frequently recommended for acne9—but your skin responds to them much more completely if they applied directly to the skin. Alpha-lipoic acid, ascorbyl palmitate, and retinol all help the skin—but they break down very quickly in any product in a clear container or a jar. You may get some benefit from alpha-lipoic acid supplements if you have sagging skin that tends to form outward-facing acne scars, but products you apply to your skin will always get you faster results than products you take by mouth. Acne supplements form only a small role in clearing up blemish-prone skin. You can get much better results for a lot less money from a complete acne treatment system like Exposed Skin Care. Kobera M., Bowe W.P. The effect of probiotics on immune regulation, acne, and photoaging. International Journal of Women’s Dermatology. 2015;1(2):85–89. Yang M., Moclair B., Hatcher V., Kaminetsky J., Mekas M., Chapas A., Capodice J. A Randomized, Double-Blind, Placebo-Controlled Study of a Novel Pantothenic Acid-Based Dietary Supplement in Subjects with Mild to Moderate Facial Acne. Dermatology and Therapy. 2014;4(1):93–101. Wong A.Y., Chan A.W. Myriad and its implications for patent protection of isolated natural products in the United States. Chinese Medicine. 2014;9:17. Temple N.J. The marketing of dietary supplements in North America: the emperor is (almost) naked. Journal of Alternative and Complementary Medicine. 2010;16(7):803-6. Cervantes J., Eber A.E., Perper M., Nascimento V.M., Nouri K., Keri J.E. The role of zinc in the treatment of acne: A review of the literature. Dermatology and Therapy. 2018;31(1). Igic P.G., Lee E., Harper W., Roach K.W. Toxic effects associated with consumption of zinc. Mayo Clinic Proceedings. 2002;77(7):713-6. Bowe W.P., Logan A.C. Acne vulgaris, probiotics and the gut-brain-skin axis – back to the future?. Gut Pathogens. 2011. Sant’anna Addor F.A. Antioxidants in dermatology. Anais Brasileiros de Dermatologia. 2017;92(3):356–362.